G.V. Barbee Bridge to Oak Island has OPENED! November 2018 - May 2019. Click Here to Download and Print your Loyalty Passport. Show your support for local any local business during the G.V. Barbee Bridge temporary closure and you could win our monthly drawing. Pick up your Passport at these locations. Save your receipts from local businesses in the Southport-Oak Island Area (including Boiling Spring Lakes, Oak Island, Southport, Bolivia). 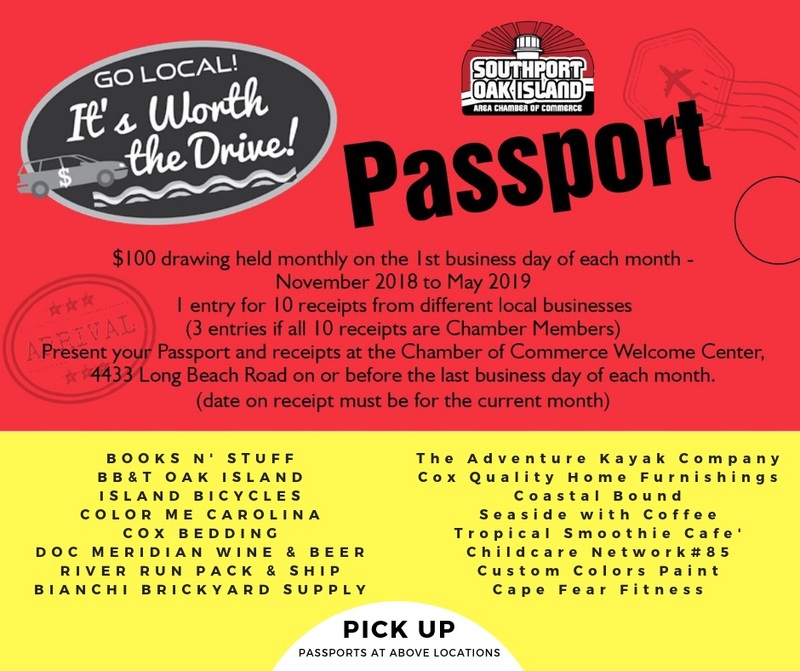 Stop in the Southport Oak Island Chamber of Commerce-Welcome Center (4433 Long Beach Road) each month and show us your receipts for chances to win $100.00 in Cash. Learn more about our business community and some of the organizations that serve our area each Thursdays beginning November 1st at 10am on the Chamber's Facebook Live broadcast of Worth the Drive Carpool.